The Chinese Embassy in the UK said they are investigating into reports that the bank accounts of some Chinese students in the UK had been frozen over suspected money laundering. The embassy said on its website on Friday that several Chinese students had asked them for help as their bank accounts were frozen after they privately exchanged money through WeChat, which could violate both UK and Chinese laws. Some even did not receive the pound sterling equivalent after paying in renminbi, according to the embassy. The embassy's post came after the UK National Crime Agency announced on Thursday on its website that the National Economic Crime Centre would seek to freeze 95 bank accounts containing an estimated 3.6 million pounds. These accounts were mainly held by overseas students studying in the UK. Many overseas students like to use these groups to exchange money for convenience. But few of them are aware that they could be illegal. The Global Times reporter discovered many money exchange groups on WeChat, whose rates are lower than bank rates. "There are no service charges," said a Chinese graduate surnamed Zhao who studied at the University of Sheffield. "It was not complicated," Zhao said. 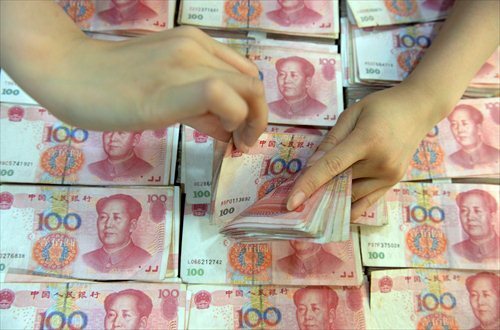 Another Chinese student surnamed Chen who graduated from the University of Leeds told the Global Times on Wednesday that he had privately exchanged a total of 200,000 yuan ($29,800) to pound sterling through WeChat.